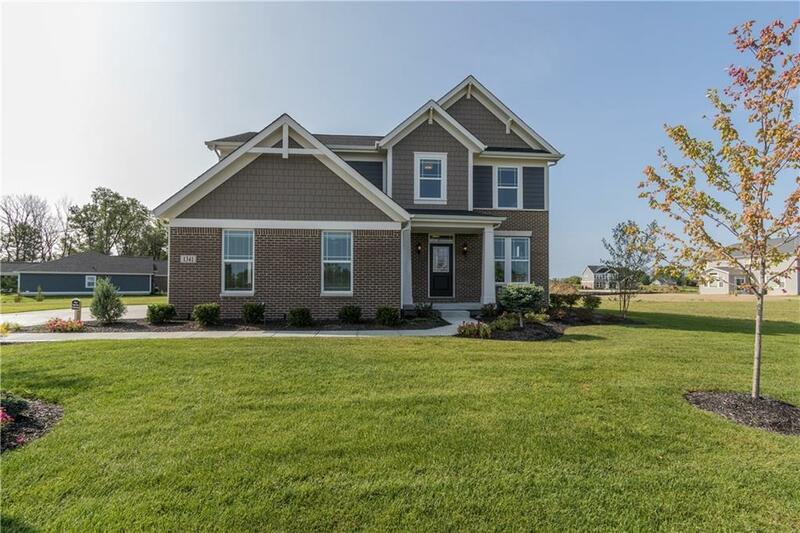 Beautiful new Mercer Western Craftsman floor plan by Fischer Homes in the beautiful community of Meadows of Springhurst. The island kitchen features warm maple cabinets, ceramic tile backsplash, gleaming granite counter tops and bay window in morning room overlooking the spacious family room with corner gas fireplace. Upstairs is the master suite with generous size walk-in closet, soaking tub, separate shower and water closet, and large open loft. Full unfinished basement and 3 car garage.